A clean engine makes a good impression on anyone for whom you open your hood to show engine. It gives the impression that the vehicle is well cared for. There are some practical reasons for having a clean engine as well, one of which is that it makes it easier to tell when something is wrong. Small leaks can easily be detected before they become large ones. With a good engine cleaner, you can keep your car looking and running good for longer. Plus, if you ever decide to sell or trade it, you can expect to get more for it. This product’s foam formula is fast acting and will remove dirt, grime and grease from your car engine in a safe manner. It can also be used for all-terrain vehicles, motorcycles, snowmobiles, and water craft. It will not harm hoses or other engine components and requires no scrubbing. Simply spray it on and let it foam. Wait about 15 minutes and spray it off. Unless the engine compartment is extremely dirty, there should be enough product in one can to clean two motors. 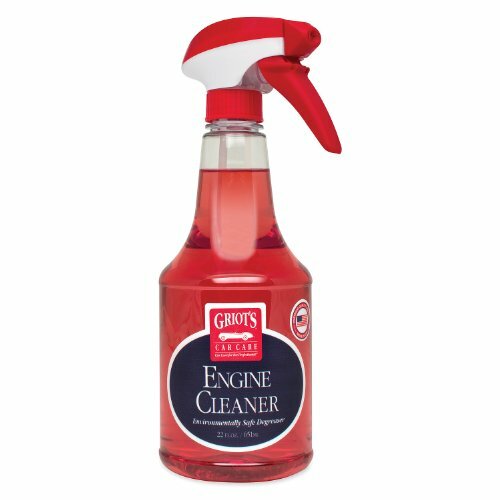 This cleaner from Griot’s Garage is an environmentally friendly, mild degreaser formulated especially for engines. It leaves surfaces clean and ready to be waxed or dressed. The cleaner can be sprayed on and agitated with a brush, then sprayed off after letting it sit for a few minutes. The spray stream makes it easy to clean hard-to-reach places. Depending on how many vehicles you have and how often you clean them, you can choose the 22 ounce, 35 ounce or the one gallon size. Griot’s Garage engine Cleaner is made in the United States. Consistent with the Simple Green name, the Foaming Crystal Industrial Cleaner/Degreaser is environmentally friendly with its biodegradable, non-toxic formula. It is also non-flammable, non-abrasive and non-corrosive, making it safe for finished surfaces, metals, rubber and plastic. It is made to cling to vertical surfaces, providing soiled areas longer contact time for more effective cleaning. It is also a good choice for hard-to-reach places because the foaming action causes some agitation on its own. While it is great for cleaning engines, it has a multitude of other applications as well, making it a good choice for those who prefer not to purchase a different product for every application. 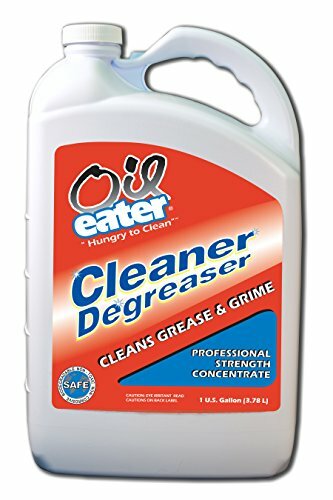 This water based degreaser is biodegradable and can be used in concentrated form for tough tasks or diluted for most cleaning jobs to make it will last longer. Formulated to remove oil, grease and hard-to-remove stains, it is safe for vinyl, rubber and leather upholstery, as well as engines, tires and rims. 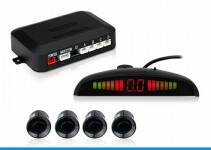 It can be used under the hood as well as both interior and exterior surfaces. After the engine-cleaning project is complete, this cleaner can be used on grills and patio furniture in preparation for the family cook-out. 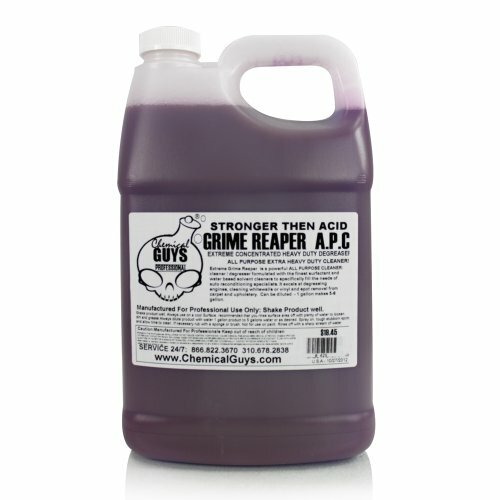 This product is a good choice for those looking for a versatile cleaner. This product works best for cleaning engines when the engine is cool. It can be sprayed on, left for a few minutes and sprayed off. A pressure washer is more effective for rinsing but it is important to cover components that should not get wet. It should be diluted according to the product chart on the bottle for best results. It is an eye irritant, so be careful not to get it into the eyes. However, it is water based and biodegradable. It contains no acids, abrasives or petroleum solvents. It is USDA approved for non-food surfaces. This cleaner can be used in garages, in parts washers and for cleaning tools. It does an excellent job of cleaning oil off of concrete to keep the garage floor clean. It can be used on white wall tires and has a number of household uses also. 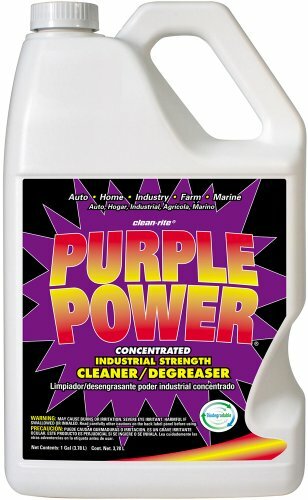 This cleaner by Purple Power is a concentrate that can be used full-strength or diluted, depending on the need. It is biodegradable, non-flammable, non-abrasive and phosphate-free. It works best when it is removed from surfaces before it is allowed to dry. While it can be used to clean engines, it should not be used on painted surfaces or rims. Rubber gloves should be used to avoid skin contact. Care should be taken to keep it out of the eyes. Adequate ventilation is important as well. This product should be tested on an inconspicuous area before use to ensure compatibility with the surface being cleaned. It is available in one-gallon and 2.5-gallon sizes. This Max Professional product can be used to clean engines and parts. 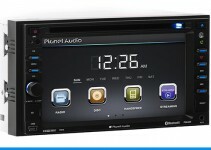 It is also made for motorcycles, tractors, and industrial equipment. Coming in a 13-ounce aerosol spray can, it is extremely flammable, so caution must be exercised to avoid spraying it onto hot surfaces or around ignition sources. It is designed to keep engines clean, looking new, running cool and lasting longer. As far as effectiveness is concerned, it is a little weaker than some engine cleaners but stronger than using a household product to remove grease and grime. This product comes in a 14.5-ounce spray can and is especially formulated to remove oil, grease and tar from engines and other equipment. It is designed to be sprayed onto the surface and rinsed off with water. In addition to automobile engines, it is useful for farm equipment and lawn mowers. It can also be used to clean oil or grease spots from the garage floor. Penray Engine Cleaner & Degreaser Spray is made from a low VOC formula. However, because it is an aerosol spray, it is extremely flammable and can be harmful or fatal if swallowed. 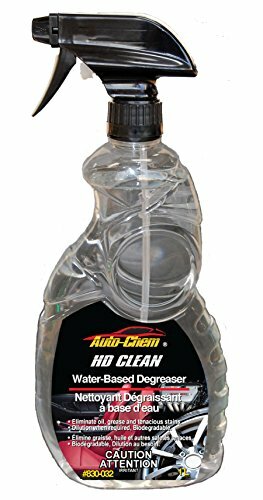 Available in one-gallon containers, HD Total Degreaser & Cleaner has a wide range of applications. It is designed to be effective on dirty, greasy and oily engine compartment surfaces while being gentle enough for interior leather seats. It can also be used on paint, fabric, vinyl, rubber and glass. This is achievable because the product is designed to work at various dilution levels. Use it full-strength for tough jobs and dilute it appropriately for more delicate tasks. It leaves no white residue after use because no caustic material is used in the formulation. In addition, it will not cause respiratory or skin irritation either. 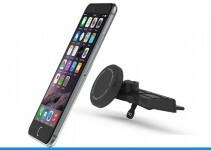 It is a good choice for those who want a single product for many uses. This product from Chemical Guys can be diluted with up to nine parts water and rinses clean without any white residue stains. It is a water based degreaser that is designed to remove oil and grease from engines, tires, wheel wells and door jambs. It comes in 16-ounce and one-gallon sizes. This product receives mixed reactions from customers who have tried it. Some say it works well when used in concentrate form, others are disappointed. Its claim to fame by the makers is that the cleaner is stronger than acid. However, the label says “stronger then acid”, an obvious misspelling. Beware of products whose makers can’t get their label right!